Fake Service Dogs? Yep, it’s a HUGE Problem. Fake service dogs? Are you kidding me? Yes, indeedy! Seems that some dog owners are scamming the system by claiming their companion animal is a service dog. Oh yeah, it’s easy! You just say your dog is a service animal, and businesses cannot then deny your dog entrance into their business. Vests like these can be bought on Amazon.com for as little as $50. But surely dog lovers are responsible people and would never do that, right? WRONG! It’s such a problem that some business industry groups are looking for answers from government agencies and legislatures. And who is being hurt by these shenanigans? People who truly benefit from the use of service dogs. Why? Because they are being given a hard time by business owners who are so tired of “fake” service dogs creating problems (barking, damaging merchandise, having accidents in the store that the human doesn’t then clean up), they do everything within the legal limits to get that person and their dog out of their business. They seat people with service animals in a far corner in restaurants in case the dog is a fake. Wait staff stay away from them so they often get poor service. Clerks follow them around in stores to keep an eye on the dog. To those of you who truly benefit from a service animal, I want to apologize for the rash treatment you receive because of the selfishness of some dog owners who are faking it. And if you’re one of those dog owners who thinks it’s “cute” to pass your pet off as a service animal, you make me want to puke. Shame on you! Tomorrow, some tips on how to spot a fake, and what you can legally do about it. 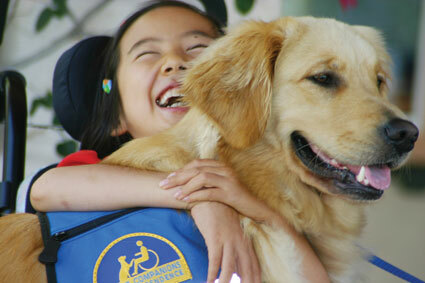 If a ‘fake’ service dog were well behaved it would not worry staff or cause problems in shops ,restaurants or offices. Ideally, everyone would be able to take their dogs wherever they wanted to go. On holiday in the Netherlands in 2012 I saw dogs in places they would routinely be barred from in the UK today. The result was happy socialised dogs. Too many UK dogs end up confined at home when their owners are going somewhere dogs are not admitted. So I believe this problem could be solved by all dog owners taking the responsibility to train their pets to make sure they can be taken anywhere without causing nuisance. And that is where the problem lies. If the dogs were trained, no one would ever know they were fakes, would they? This is terrible! Why would anyone do this? And the fact that it has become a huge problem is just horrifying. Yep. Airlines. Hotels. Restaurants. They all have to deal with it and it hurts their business. I mean, who wants to be eating in a restaurant and a dog takes a crap at the next table over? I don’t get it either. But I’m hearing a lot of feedback so it’s ringing true. My wife is an apartment manager and sees it all the time. People say that their dog is a service animal to avoid the pet fee and to avoid certain breed restrictions. All that is required is a doctor’s note saying the dog is for emotional support or whatever. Most doctors will probably write that note for someone if asked. I know someone who was told he couldn’t have a pit-bull and would need to get it off the property. He asked his doctor for a note and now he can keep his dog. I work in disability care in Australia and one of my client’s mums was super excited about the special service dog they were getting for her son who suffers from severe epilepsy. Except what the company sending them the service dog didn’t tell her was that essentially the dog was just a puppy and she would have to train it herself. So instead of helping making life easier for the family, it just became an extra burden for them on top of everything else. In the end the family gave the dog back to the company, with the company doing their best to prevent them from doing so. Stories like this make me so mad! Just goes to show how low some people can be. That’s so sad. Greed knows no limits. This disgusts me. 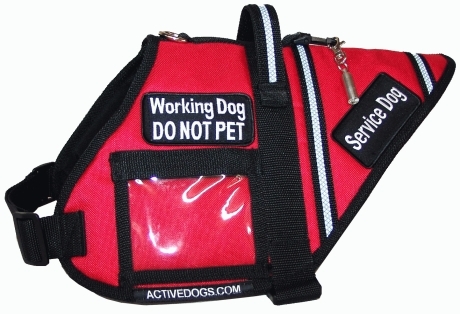 I saw an able bodied couple at a restaurant and their small dog was wearing a service vest. Very quiet and well mannered dog. Some people were bothered. I was not. But, and I’m no doctor, it did not appear that either person was handicapped in any way that they would need a service dog so I was skeptical she was a true service dog. Very sad because it is not the dog’s fault the owner is unscrupulous. What happened to understanding the consequences of your actions? It’s obvious this would impact those who truly need the help of a service dog. That dog may have been a seizure alert or some form medical alert dog. In other words, they can appear normal but have a condition such as epilisey where the advance warning could be critical. That’s true. That’s part of what makes it so hard. We don’t know and it’s really none of our business as long as the dog is not creating a disturbance. It’s a joke, but many people do something similar and it’s not cool. Service dogs should be really trained…..it’s like as if those owners who insist their pets are service dogs cheated people who need real service dogs….very sad….. Yes, a dog that is creating havoc is not benefitting anyone. I heard this on the news and was sick that people would do this. Me too. It’s just wrong AND it’s illegal! Hello.I am a new follower through Ms.C.of The Kitchen Garden.I don’t often comment but on this I have to add 2 cents. This raised my hackles and puke is to kind.Question; is there not some kind of licence that is required for a service dog? I would think that there should be something that the owner could show if there was a problem with the dog being “real” or not.Like a human drivers licence.. I enjoy your posts keep up the good work… Mary from Alabama. Hi Mary! We’re in Alabama too. The ADA does not require service dogs be licensed. The only questions that may legally be asked is if the dog is a service animal required because of a disability and what tasks the dog is trained to perform. I have too. It can result in jail time and the dog being confiscated. That is absolutely disgusting. Tehre are people out there who have no moral sense and no shame. My person just met a dog that she thinks is a fake. It’s so sad that people do this because real service dogs are such a great benefit to their people. Legit service dogs are well-trained. It’s expensive and labor-intensive. 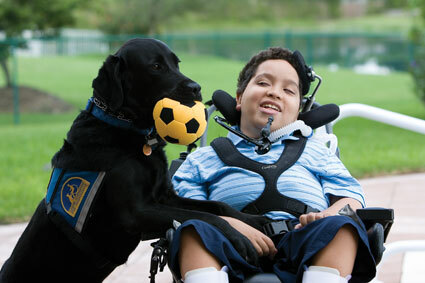 But those dogs can perform a variety of tasks for humans who require assistance. Fake dogs are often not trained and do not act well in a public setting. Yes, because the ADA says you can’t ask other than the two questions I wrote below Mary’s comment. Your dog doesn’t even have to have any special certification or anything that identifies the dog as a service dog. Which is great for those with disabilities who suffered much abuse and ridicule, but makes it easy for the fakers to get away with what they’re doing. I work for a nonprofit that rents out hundreds of apartments. None of them allow dogs. When I mentioned to the head of the rental program that I’d love an apartment in the old building near my office if they only allowed dogs, she (seriously) told me to get a doctor’s note stating I needed Honey to support my mental wellbeing. Arghhhhhhhh! At least Honey is well trained. But I couldn’t live with myself pretending I needed her as a working dog. I have no idea what my co-worker was thinking. Read Bad Cat Chris’ comment on here and you’ll see how easy it is! Is there no end to corruption?!! That was rhetorical. You don’t need to answer, we both know what the answer is. Federal need to be strengthen. That hurts the people who need it. I know a lot people that have the real deal because of severe health issues from vets to normal everyday people . It make it hard for them because of all the non trained dogs with improper coats. Those people that are misusing the system should be fined! If caught, they can go to jail. I have heard that this is an ever growing problem! Makes me sick really. I don’t understand why people would want to do this! Because they want what they want, which is to take their dog with them wherever they go. Mom thought about having me trained as a service dog because she has a bad hip and I could things for her. The other reason was so she could take me a plane in the cabin and not be stored in baggage. If she needs a service dog, it could be a possibility. That is so sick! What next! Doesn’t anyone follow rules any more. It seems every time I turn around, society has run amuk! Society has always run amok. We’re just older now and realize how amok it is. Hi Rumpy! I hope you are feeling much better after your tooth ordeal! Did you get any cookies yet? This is a subject I am familiar with and am interested in all of the comments. Thanks for posting. We have now raised 2 of these service dogs for Canine Companions for Independence. It is a long road for someone to receive one of these dogs (3 years) and there are lots of other organizations that train dogs too that do not have such a waiting list. CCI has such a long wait because a) their HIGHLY trained b) free of charge to the recipient and c) they go through a 2 year long process of weed-out to make sure only the best dogs are put into service. BUT I am also torn because I know there are some people that just want a dog to pick up things for them or help them out of a chair and so on. The ADA just requires they be able to perform 3 tasks. That is simple enough, and many experienced dog handlers could train a dog to work for them. Where would those people get a vest? Does that make them ‘fake’? If it were up to me I’d say all service dogs need to come from an organization that trains them and is certified by the Assitance Dogs International but the laws do not let us discriminate. It is a tough road… thanks for writing about this! Hope you are better! What makes them fake is they aren’t disabled. It’s not a dog problem, but a human one. But the advocacy is to regulate the sale of the vests, which would put another road block in the way of a real disabled person that needs a service dog, or has a dog that can work for them. The law says you cannot require a service animal to wear a vest, so regulating the sale of them is a moot point. As someone with severe anxiety I qualify for a dog. But, I have heard horror stories about people with legitimate anxiety dogs. If it’s not a handicap that you can “see” that you need the dog for more people are gonna fake those, so more stores are going to be wary of them. I actually had a company contact me because I have shared some of my issues on my blogs and they wanted me to promote their “Gimme $450 & we’ll give you an instant therapy dog license.” Needless to say my response was less the congenial. If your quality of life would improve with a service dog, don’t allow what others would think to stop you. Remember, we’re talking about people who want to take their dogs with them so lie about having a disability. That is against the law. Thats just wrong. My aunt used to have really bad headaches and she had a dog that would let her know a few minutes beforehand so she could stop driving, sit down, ect. The dog was excelently trained and went with her everywhere. I know it might seem like a minor handicap but it could be dangerous if she was driving. People should be able to have service dogs, but only if they need them. And that’s a great example if a service dog doing his job. Most “fakers” do not have well-trained dogs, which is how they are known to be fakers. It’s as bad as those people “borrowing” hang tags for cars from relatives that lets them park in special areas right by the door. It’s the people, not the animals. And it’s just as illegal, because in both cases the person is pretending to have a disability in order to obtain preferential treatment. Every so often they make a sweep here – but people keep doing it – so odd. Yeah, I know. I fear a change to ADA will come as a result. Thoughtless self-centered people can spoil anything. Never heard of this problem before. I am a dog owner, and I have never understood why people feel the need to have their pets with them 24/7, unless of course it’s a service dog. I mean I love my animals, but their is a time and a place. Even service dogs need a break! Hear! Hear! A lot of celebrities are using this ploy to fly on planes with their precious, designer breed lap dogs. It makes me want to puke too! Believe it or not, one of those shows like E! did a story on this! It’s getting a lot of attention on the West Coast. I gotta look up that show online! I read of this problem here in Canada too. Hopefully steps can be taken to identify and punish the fakers. Amazing! It surprises me just how low people will stoop. I totally understand the desire to pass one’s dog off as a working dog in order to bring said dog everywhere, all the time, but, come on, even I get WHY that’s not OK. It’s a shame that others are capitalizing on something meant to help people in need and, as a result, harming said people in need. Yes, I know all about this and what’s sad is that my boyfriend once told me that we could get service dog information online for our dogs – I explained how this hurt people who really needed service dogs and he understood. But what I found interesting is that he didn’t think of the people first – many people I speak with don’t and I know it’s because of the people who take advantage of the system. They inspire jokes about people who are so crazy about their dogs that that fake maladies so that they can take them everywhere. And then more people don’t take it seriously. And on and on. You cant tell a service dog by breed, or by the person seemingly looking perfectly capable, which can be a problem. I have a service dog, that is a psychiatric service dog. He is a great dane. To someone else I look completely fine and healthy however, I suffer from severe ptsd and have severe panic attacks. My sd is specifically trained to snap me out of these attack, alert me to one before I realize, and if all those fail, he keeps me upright (my attacks leave me very dizzy and I often fall). Without him I cannot go out alone or even be home alone. He gives me my independence. But because of people faking it, and other people jumping to conclusion s or making assumptions, we deal with dirty looks all the time based on my appearance alone. My sd is impeccably trained. THAT is how you should judge a service dog. Please remember that next time you see a person that looks “fine”. In accurate post. No you can’t just say your dog is an SD. Lordy. Fakers are easy to Identify if businesses where better educated. And, in all my time using an SD I have only seen 1 dog I thought might not be legit. Learn the law. If it’s a fake they will give themselves away. A savvy business in Auburn knew. The person refused to leave with her fake SD and landed in jail. The decision was upheld by a judge. So businesses need to do a little homework. Give always. Behavior, Fake IDs. Not knowing how to answer legal questions properly, grooming even. A true SD team will act like one. And yes you can use any breed. Lordy. I am so tired of reading uninformed blog posts. I think that’s what I said, so how is my post inaccurate? And if you’re reading so many inaccurate posts, how about writing your own instead?